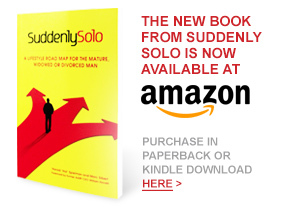 Home » Suddenly Solo the ebook is now available! Suddenly Solo the ebook is now available! 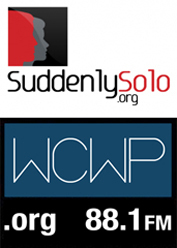 After years of research and writing, we’ve just published Suddenly Solo! It’s filled with timely, no-nonsense advice (and plenty of hands-on, “do it now!” tips) that we are certain will help you successfully navigate your new single landscape. We know the pain and loneliness that losing someone (whether through death or divorce) can bring. Your life may be consumed with questions of “why” and “how,” to the point that it is easy to settle into a seemingly unrelenting sadness and an all-encompassing feeling of helplessness. Well, we wrote Suddenly Solo to help you through this phase. And that is just what it is. It’s a phase, part of a life-passage that we will travel with you and share the knowledge we’ve gained from our own experience and the experience of others who have gone through it too. Our book will help you get comfortable with doing things for yourself… even if you never had to do any of these often mundane tasks in the past. Things like laundry, cooking, cleaning and, when you’re ready for it, dating and mating. We’ve asked thousands of men and women who are also Suddenly Solo what they were thinking about when it came to assimilating into this new life situation at our age. And we bring all that collective wisdom to you. We’ve made Suddenly Solo comforting and reassuring, because in our experience, that is what you probably need – both right now and moving forward with a renewed sense of well-being, confidence and being open to your exciting new world. Get your hard copy as well as your Kindle copy today on Amazon by clicking here. He said on Television he would meet only Martha Stewart but maybe Harold would change his mind and meet a widow from Forest Hills!